The German Marshall Fund of the United States (GMF) developed a Report, as a result of a GMF study launched in 2017. 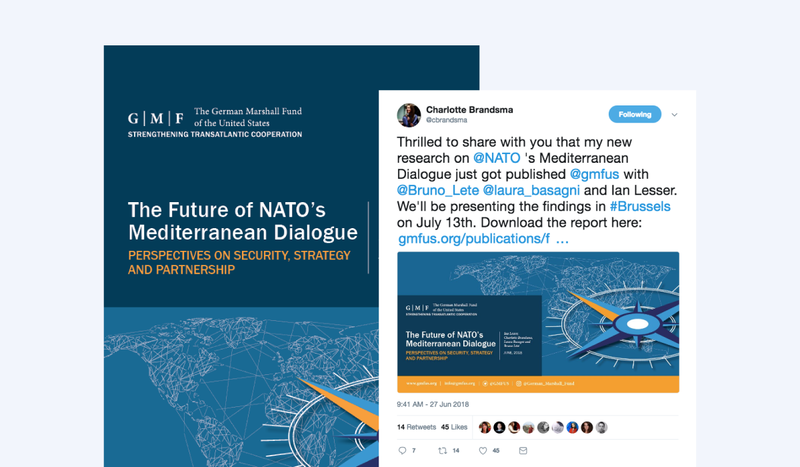 The Report provides an analysis of the status and prospects for NATO’s Mediterranean Dialogue (MD), and it is based on extensive interviews with officials and experts. The objective was to highlight this complex issue in a visually attractive way. 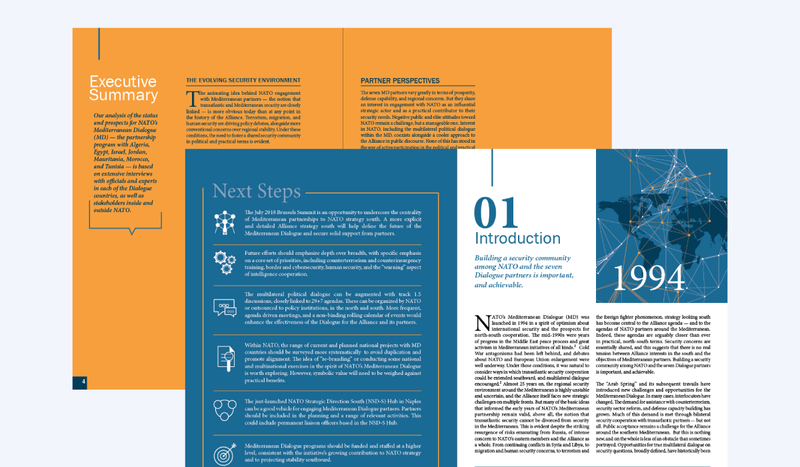 The Report is now available in print and online (interactive PDF). Graphical elements were developed for use in presentations (slides) and as supportive elements for social media.